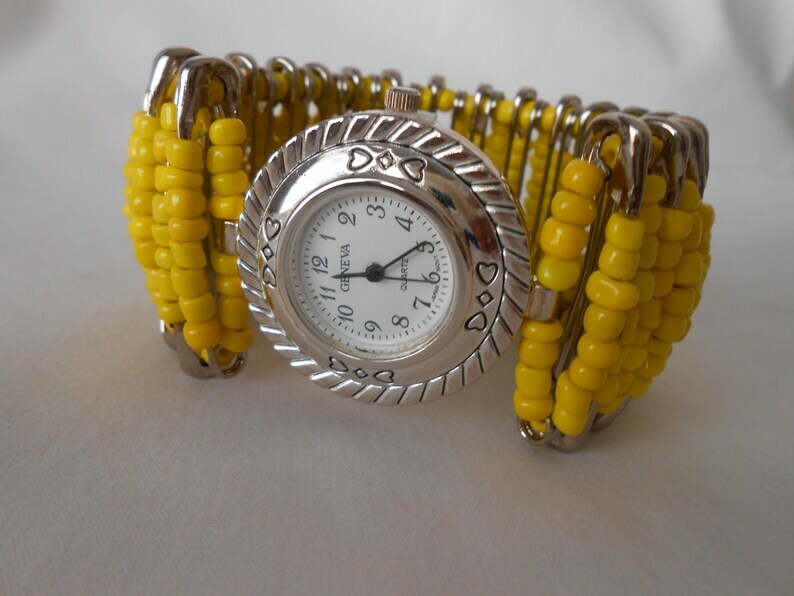 Large round silver watch casing framed with black scroll work and an interesting outer edge twisting, a white watch face with black natural numbers and swiping second hand, the band is 1 1/2 inch silvertone safety pins beaded with sunshine yellow opaque seed beads. Stretchy jewelry cord - fits most wrists. 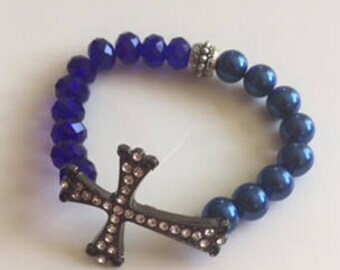 Watches can be custom made for the smaller or larger wrist size, just convo me when placing your orders.